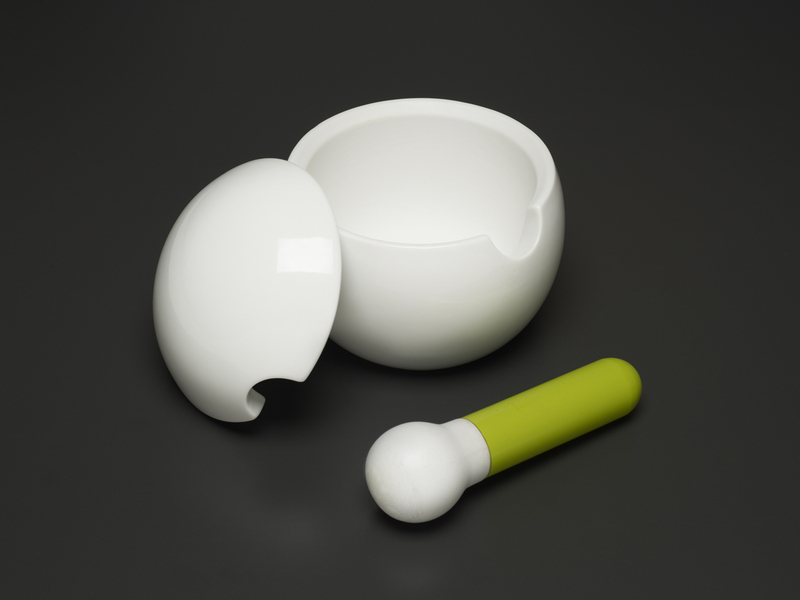 Just launched by Joseph Joseph is our striking design for a mortar and pestle which provides not one, but two receptacles for grinding herbs and spices. The main bowl is large enough for crushing and grinding large quantities, or even several ingredients at once. The lid, when inverted, provides a neat handheld mortar – ideal for smaller amounts of herbs and spices.